Nearly 250 years after ninety-five-year-old Elder Thomas Faunce got caught up in the mythmaking around Plymouth Rock, his great-great-great-great-great-granddaughter Hilda Faunce Wetherill died in Pacific Grove, California, leaving behind a cache of letters and family papers. 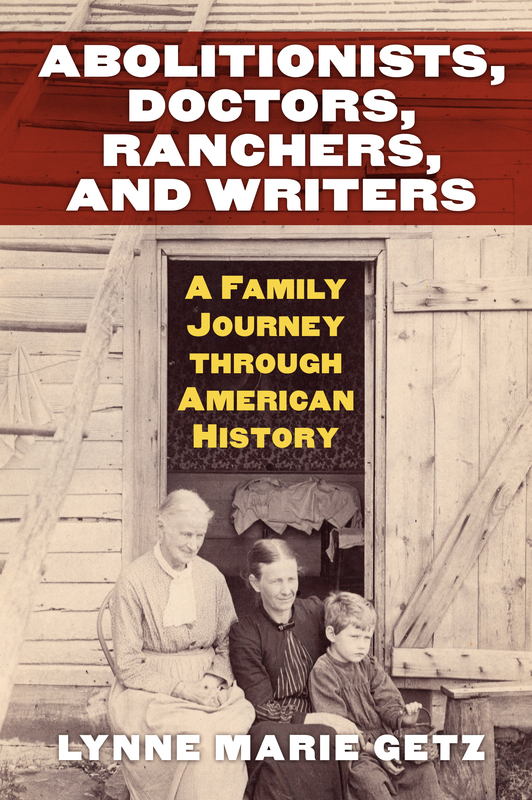 The remarkable story they told prompted historian Lynne Marie Getz to search out related collections and archives—and from these to assemble a family chronology documenting three generations of American life. Abolitionists, Doctors, Ranchers, and Writers tells of zealous abolitionists and free-state campaigners aiding and abetting John Brown in Bleeding Kansas; of a Civil War soldier serving as a provost marshal in an occupied Arkansas town; of young women who became doctors in rural Texas and New York City in the late nineteenth century; of a homesteader and businessman among settler colonists in Colorado; and of sisters who married into the Wetherill family—known for their discovery of Ancient Pueblo sites at Mesa Verde and elsewhere—who catered to a taste for Western myths with a trading post on a Navajo reservation and a guest ranch for tourists on the upper Rio Grande. Whether they tell of dabbling in antebellum reforms like spiritualism, vegetarianism, and water cures; building schools for free blacks in Ohio or championing Indian rights in the West; serving in the US Army or confronting the struggles of early women doctors and educators, these letters reveal the sweep of American history on an intimate scale, as it was lived and felt and described by individuals; their family story reflects the richness and complexity of the genealogy of the nation. Lynne Marie Getz is professor of history at Appalachian State University, Boone, North Carolina. She is the author of Schools of Their Own: The Education of Hispanos in New Mexico, 1850–1940.